Cut The Costs of Your Home Extension. Getting a home Extension can be very expensive, we at bricks and pieces look at ways to work around your budget. Keeping the Home Extension Design Simple. Corners and curves can be very costly to build, so try to keep the extension design as simple as possible. A square or rectangular design with a simple roof will be the cheapest option. Design your extension build around the off the shelf products such as standard windows and doors. Avoid using any product that will have to made to order. Choose materials that are available and are easy to use. Stick to materials such as cast concrete for your floor, concrete blocks for the walls, bricks, render, timber cladding and even softwood timber for the roof structure. If possible try to avoid having groundworks done on buildings near drains, trees and sewers as these will all add to the groundwork costs. Save Money by carrying out DIY on your Extension. The labour costs for a home extension represent at least two-thirds of the outlay for an extension. So by doing some of the DIY work yourself, you can make some savings. The easiest things to take on are decorating and landscaping, followed by other things such as kitchen and bathroom fittings, tiling, skirting boards and coving. You must be careful to only take on work that you have the skills and time to complete it. Although you can read up in advance and not rush on the workmanship as poor workmanship can lead to wasted materials and poor results. 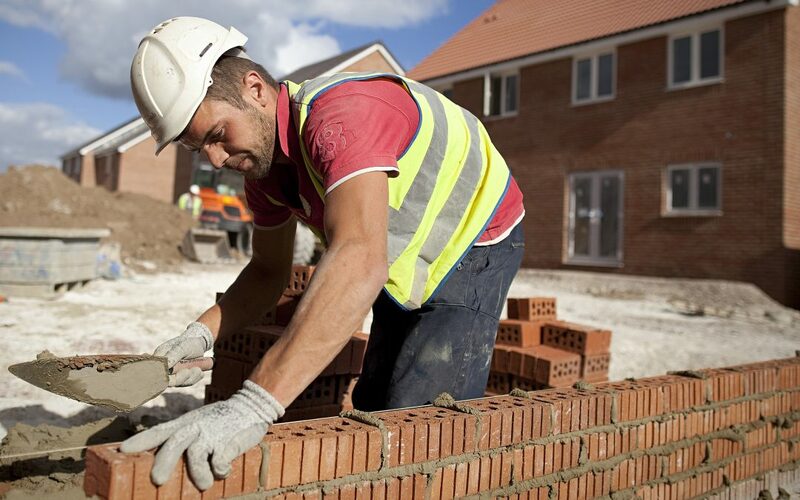 Unless you are skilled or an expert in this field you can always hire professional to carry out the skilled work for plastering and brick laying. Typically a builder will tend to add up to 25% onto the cost of materials and labour to cover for their time and managing the extension project. You can save your self some money by taking on the role yourself. This, however, will mean that you will need to liaise with an architect/designer such as Bricks and Pieces. They will be able to help you with the designs and find the right trades people to do the job. Though managing the extension project yourself can be very time consuming it can also be very rewarding. In order to do it well, you will need plenty of time, flexibility, confidence and some sort of knowledge of construction. The job may take a lot longer to complete but you can save yourself a lot of money. Most of the extension work will usually have VAT on them at 20 per cent for labour and materials. However, if you are self-employed and turn over less than the threshold for VAT you will not get charged tax. This can have massive savings on labour costs. Second-hand materials can also be bought off the internet which doesn’t include VAT. There are a lot of cowboy builders out there in the trade. They can massively underestimate the costs it takes to the job correctly. They may even ask for your money up front or for extras. They could even demand that you give them some or most of the money up front to them. Leaving you with no leg to stand on if they fail to deliver the work. Do these things to avoid being ripped off, always make sure to ask for job references and then check them up. Never pay for any building work in advance. Only pay for work that has been completed and that you are fully happy with. Small projects, tend to pay when the job is completed. For a home extension on your house, you will more than likely agree payments at set stages based on the list of materials and labour. Never give over your money for building work or materials in advanced. If the builder cannot supply the materials then buy them yourself.